Third party keyboards were introduced as app extensions two years ago in iOS 8, and I was really excited by the prospect of getting to use long-standing Android keyboards like SwiftKey and Swype on iOS. Unfortunately, these other keyboards were nearly unusable when they launched. I think part of it was that developers were still getting used to how to develop input software for iOS, but the lionâ€™s share of the blame seemed to lie with iOS just handling this new kind of extension very badly. 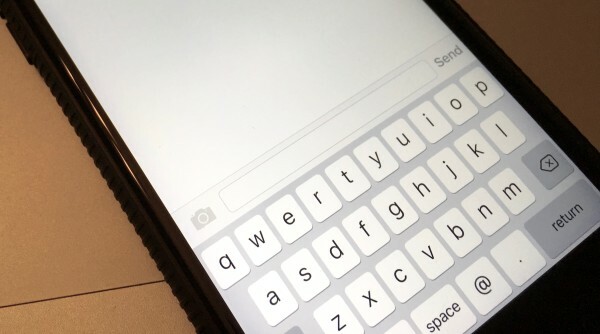 Keyboards could very slow to load in different apps, and they would reliably crash as you switched between chats in iMessage â€” which just landed you back in the default iOS QuickType keyboard. The lock screen on iOS has seen a pretty fundamental change in iOS 10. Although the changes carry over to the iPad, you really feel like the shift was centered around making things better for the iPhone. You can now simply raise your iPhone up off the table, or bring it up from your pocket, and the screen will turn on. Just like the raise-to-wake on the Apple Watch, the iPhone can now watch and react to your intent with its motion sensors. This means you wonâ€™t actually need to press the Home or the Power button if you just want to read your latest notification, though Iâ€™m finding the habit of pressing a hardware button difficult to break. But I do thinkÂ this new feature works very well in concert with the other major changes to the lock screen. 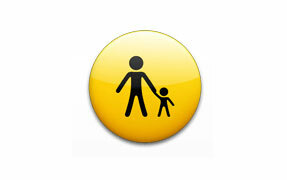 If you have a family, chances are, you’re sharing some sort of data plan withÂ your iPhone. Most of the time that’s not a bad thing. Â In fact, with minor free data increases our family currently shares 15 GB of data a month. Â Most of the time the data is only shared between our three iPhones, but we also have an iPad under the same plan. Â Add to that the ability to carry over used data each month, and we rarely approach our allotted limit. With this in mind, sharing data with our iPad’s and laptopsÂ that our limited to internet access on Wi-fi only has helped on more than one occasion. 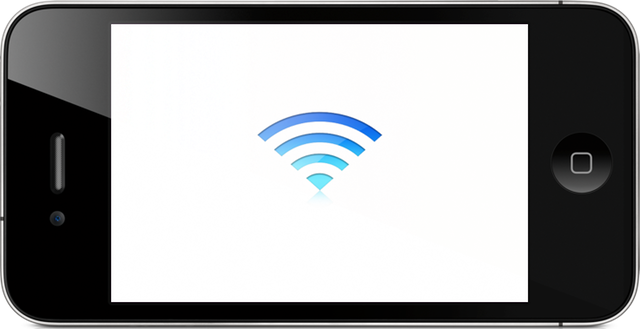 All you have to do to share your data connection is to turn your iPhone into a Wi-fi hotspot–and here’s how. For years Apple wouldÂ not provide an option to download and install any third-party keyboard for iPhones. Â Like it or hate it, that’s just how it was–and to be honest, most iPhone users were ok with that. Â In fact, I would wager that the majority of iPhone users to this day, aren’t aware that since the introduction of iOS 8, we finally have choices when it comes to what keyboard we choose to use on our iPhones. Luckily there are now options for thoseÂ who want to use Swift, Flesky, Swype,Â or any number of other available choices. Appleâ€™s Silicone Case wasnâ€™t actually my first choice for a case. I bought their leather Saddle Brown case and used it for about a month. I loved the way the leather felt and looked on the device, and I thought the warmer-looking Saddle Brown was a huge improvement over the basic Brown leather case. However, I also like to wear jeans most days of the week, and the Saddle Brown dye did not appreciate that in the least. It didnâ€™t take long for me to sub out the leather case for a silicone one. The white case was actually most appealing to me, but I was worried of repeating the blue staining Iâ€™d experienced with the leather case, so I went with Midnight Blue. Iâ€™ve had about six months with this case now, and although it isnâ€™t exactly exciting, itâ€™s definitely a keeper. 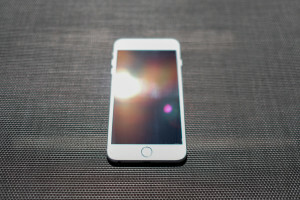 Iâ€™ve spent a good nine months with the iPhone 6S Plus. I didnâ€™t go for Appleâ€™s larger phone when they released the first iteration. I liked having an iPhone that was large enough to read on, but small enough to remain pocketable with any pair of pants. But battery life issues (caused by my Apple Watch) and curiosity eventually overcame me. I had to see what the fuss was all about and see for myself whether the larger screen really was a game changer. Itâ€™s usually Appleâ€™s powerful marketing campaigns that convince me that I really should try their shiny new thing. But in the case of the iPhone 6S Plus, it was actually my friends that were the biggest influence. I have a lot of non-techie friends at work who donâ€™t normally care about which device they keep in their pockets, but the larger phone really made a difference to them. They used the 1920 X 1080 screen for quick references during presentations, viewed storyboards, and even wrote articles on the thing. 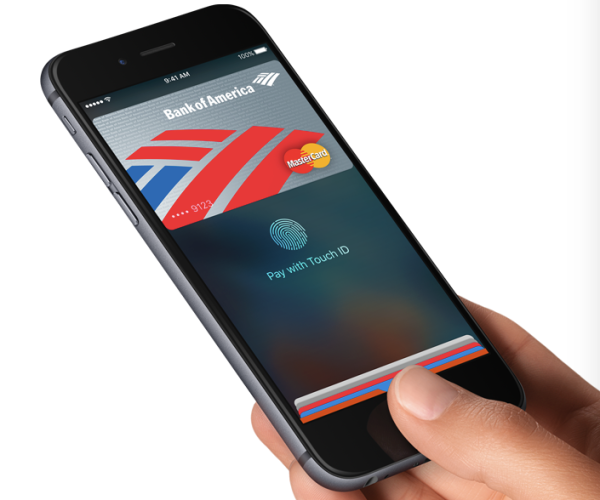 One of the most exciting new features Apple added to the iPhone lineup was the introduction of Apple Pay. Â You can use yourÂ iPhone at an expanding number of retailers for payments of goods and services, as well as within someÂ apps. Â Apple Pay has developedÂ very quickly since it was first introduced in October 2014. It is now accepted in over a million stores and counting. With that in mind, it’s important to know how to set-up Apple Pay as quickly and easily as possible so you can start taking advantage of the most convenient way to checkout at your favorite establishments. When you’re setting up your new iPhone of the first time, you probably already have in mind at least a few apps you might want/need right away. Â This is especially true for users who have owned previous iPhone versions. Â However, maybe this year you’re buying your first iPhone and you’re not exactly sure where to start. Â Or, perhaps you are switching from another mobile platform, and you might be unaware of some stellar apps that are only available on iOS. Â This is where we can provide some guidance, and suggestions based on years of experience and trial and error from our own interaction with the App Store.